The Igue festival of Edo State, Nigeria, is a seven-day celebration at the end of the year to eulogize the ancestral kingship and head of the Great Edo Kingdom. Myths have it that the festival was instituted by Omo N ‘Oba Uku Akpolokpolo, Oba Ewuare. The Omo N ‘Oba Uku Akpolokpolo, Oba Ewuare is said to have been betrayed by his younger brother and kinsmen, who denied him kingship as he was the heir apparent. His life was constantly on the line as he became a threat to the king and always on the lookout for by the royal soldiers. Howbeit, he survived all the encounters he had, both with wild animals in the bush and humans. Oba Ewuare N’ogidigan had vowed that he would sanctify his head with the blood of animals if he ever ascended the throne of his father. The Igue festival is the fulfillment of that vow. The festival is also a period to drive away evil spirits, known as Ubi and bring blessings, known as Ewere to every home in the kingdom. Moreover, it is a period set aside traditionally by the Edos to thank the gods for blessings on the Oba, his palace harem and subjects. Shrines are hallowed; ancestral gods are worshipped for protection; and propitiation is carried out in various places of the society. During the seven days of elaborate traditional and cultural activities, Edo chiefs are seen in their enviable traditional regalia and the symbol of authority; while the queens are dressed in their traditional hair-do. It is a rare occasion of their public appearance, where the Oba's stalwart are seen in active service. The Oba inaugurates the Igue festival with a ceremony known as Igue Oba. 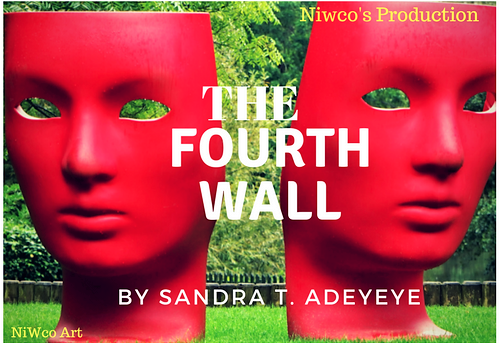 This is followed by a cleansing ritual of the extended royal family; then finally, the Igue Edo hia, an oblation performed by the Edos and their families in their homes, is observed. The ceremony commences at 7 p.m. and lasts till about 4 a.m. with the chiefs. The ceremony takes the form of a musical night. There are songs, dances, and stories to tell. The people drink and make merry. 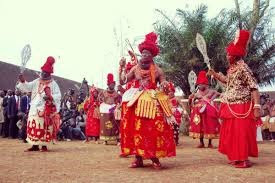 Oba Ewuare decreed that Igue Festival should take place at the end of each year. It ends the old and ushers in the New Year. The Igue, therefore, is a commemoration of victory over the forces of nature and men.